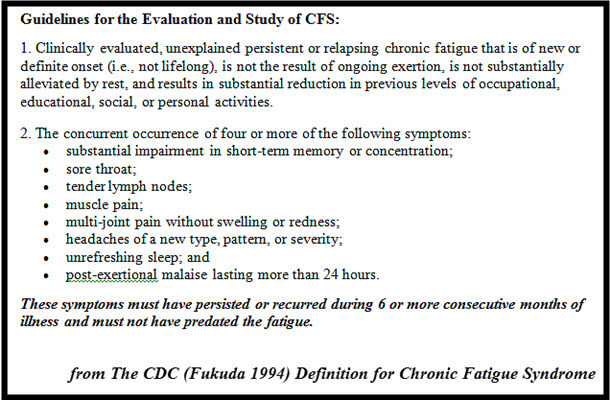 In a previous post, we discussed the relationship of mold and chronic fatigue syndrome (CFS). For readers of that post, we provided suggestions and resources for treatment in our Greater Philadelphia and Southern New Jersey region. 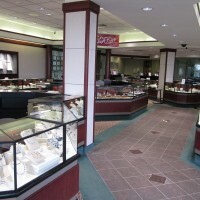 This post is a discussion of a new case report. It’s a discussion of a recently published article from The American Journal of Case Reports. The article suggests there’s new hope for those currently struggling with mold and chronic fatigue syndrome. Once properly diagnosed, testing revealed the young man has a genetic susceptibility to mold (HLA-DR/ DQ). This young man is not alone. 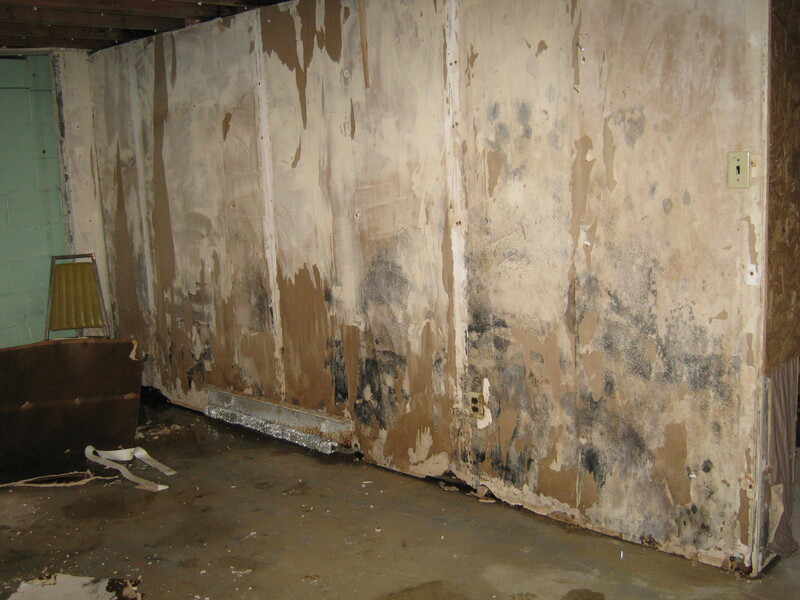 25% of the general population has this sensitivity to mold toxicity. Now that they knew the young man was a mold-sensitized individual, the team of practitioners ordered additional tests. They wanted to find out if he had been exposed to mycotoxins including aflatoxins, ochratoxins, and macrocyclic trichothecenes. The results of the patient’s additional testing revealed that he was indeed positive for trichothecene group. What that means is that the young man had been exposed to mold from a water damaged building. 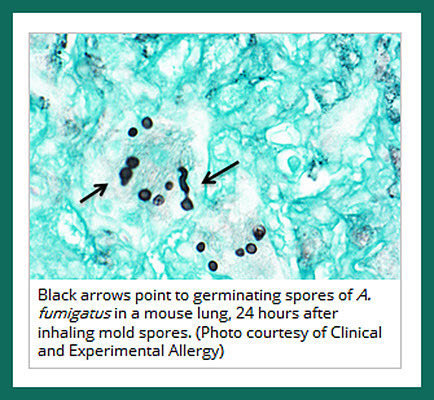 Subsequent environmental testing of the patient’s rental house revealed it was indeed a water-damaged building (WDB), contaminated with the toxic “black mold” Stachybotrys chartarum. S. chartarum produces a variety of highly toxic compounds with a potent ability to inhibit protein synthesis. 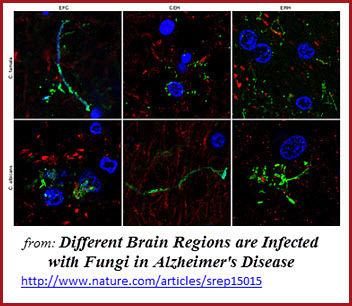 In addition, the fungus produces phenylspirodrimanes and cyclosporin, potent immunosuppressive agents. It took moving to a mold free environment, and several months using a variety of treatments, but now the young man is mold and chronic fatigue symptom free! Stachybotrys chartarum, also called Stachybotrys atra, Stachybotrys alternans or Stilbospora chartarum, is a black mold originally discovered on the wall of a house in Prague in 1837 by Czech mycologist August Carl Joseph Corda. Sometimes found in grains, food, and soil, it’s most often detected in cellulose-rich building materials like OSB board and wet gypsum wall board (dry wall) and wallpaper in damp or water-damaged buildings. 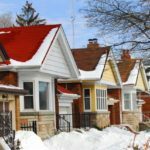 Perhaps the most significant publication implicating Stachybotrys in human disease is a report of a cluster of cases of pulmonary hemorrhage among infants living in water-damaged buildings in Cleveland. Between 1993 and 2000, 30 infants were hospitalized with acute pulmonary hemorrhage at Rainbow Babies and Children’s Hospital in Cleveland. In every one of the cases of pulmonary hemorrhage, water damage occurred in the infant’s home within the previous 6 months. This was a strong and significant association. Five of the babies died. Several of the babies continued to have low-grade alveolar hemorrhage for months after the original diagnosis and treatment, even though they were removed from their original home environments. Based on these findings, public health authorities recommended prompt cleanup and disposal of all moldy materials in water-damaged homes. Policy statements, news reports and guidelines were written following the publication of the Cleveland hospital report. All of these warned about the toxic effects of indoor molds. Each of the publications emphasized the need to eliminate water problems to reduce the growth of indoor molds. In other words, the growth of Stachybotrys, pulmonary hemorrhage, mold and chronic fatigue can be prevented! Because Stachybotrys spores are already present in gypsum wall board and in OSB board, it grows vigorously wherever moisture accumulates. 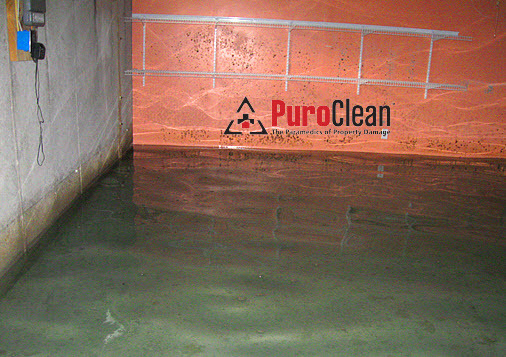 All it needs is a roof leak, or leaks around walls and windows creating chronically wet areas. Stachybotrys often hides inside the walls, within the building envelope. So, when S. chartarum is found in an air sample, it’s time to search out the source where moisture hides inside your walls. That’s where it’s likely growing in abundance! However, once the Stachybotrys begins to grow, it continues to propagate even if the surface water source dries up. Stachybotrys survives in a wide variety of temperatures. But, it grows best in temperatures that humans consider warm to moderately hot. Compared to other molds, Staychybotrys develops more slowly. It can take one to two weeks after a flood or burst pipe for it to grow, compared to the one or two days for molds like Aspergillus, Penicillium, or Cladosporium. Despite its slow start, Stachybotrys usually develops into the dominant mold. Eventually, it crowds out other molds that have colonized first. Therefore, if water damage happens from any source – whether it’s burst pipes, storm damage, or a leaking roof, make sure you get the water dried within 24 to 48 hours. 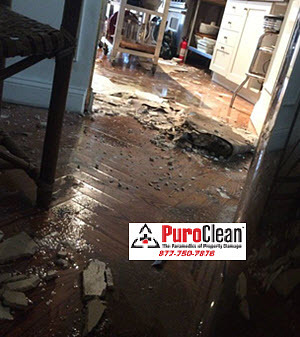 In Philadelphia and Cherry Hill and the surrounding area, if you need help after water damage and you want to prevent the growth of the toxic black mold Stachybotrys, call 877-750-7876. 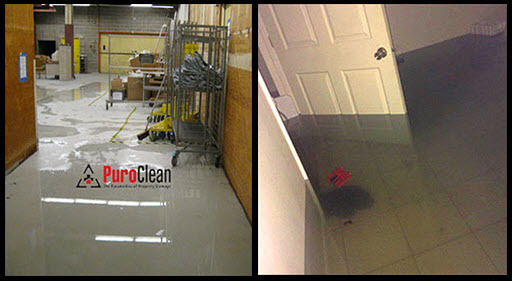 We’ll get you clean, dry, and sanitized so no mold will grow after water damage! 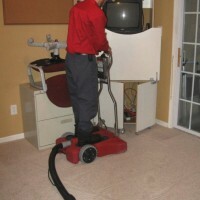 Can I save my carpet and pad after a flood? 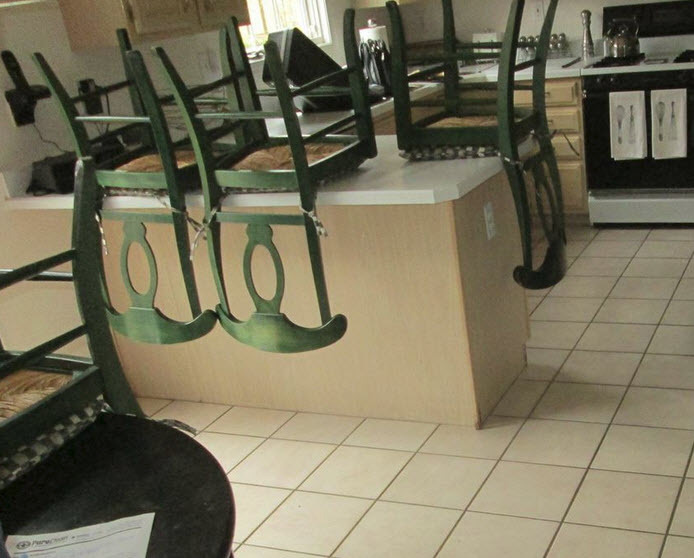 Water Damage: What to do while we’re on our way to help! How 2 Minutes Could Save You Thousands!